Whether you’re a contractor, business, or resident of Harrisonville, Garden City, Peculiar, Raymore, Belton, Kansas City, MO, or Cass County, MO, our storage facility just off I-49 in Harrisonville, MO is built with you in mind. We feature a variety of unit sizes, with climate control and drive-up accessible spaces ranging from 5’x5’ to 24’x30’, and parking spaces for RV’s, Boats, Trailers, and other vehicles. Some units also have the option for electricity. Local and surrounding businesses enjoy clearing out their work spaces by storing their equipment and materials with us. 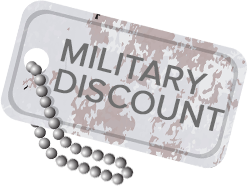 Be sure to ask about our military and pre-payment discounts when you call! One feature you’re sure to enjoy is our convenient access from 5am to 11pm daily. This kind of access provides the peace of mind you’re looking for as you store your belongings with us. Would you like to speak with a self-storage professional? No problem! Give us a call and we will set up your appointment. Our location near Pyro City, Midwest Marine, and 71 Hwy makes us the clear choice for anyone looking for a seamless self-storage experience. All our units feature drive-up access, and our secure gates allow you to access your belongings in just minutes. Have you been searching for the ideal place to store your car, truck, boat, or RV? Our parking spaces are constantly monitored by security cameras, providing the protection you’re looking for in a storage facility. We’re confident we can accommodate anything you bring our way, so make your appointment today! You’ll get $25 off your next month’s rent! Conditions apply. Discounts are available for active service members and their dependents. 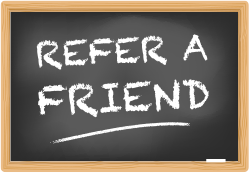 Ask our friendly staff about how our discounts can help you! 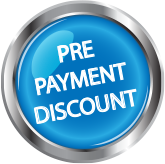 Generous discounts are available for long-term pre-payments! Ask our friendly staff. 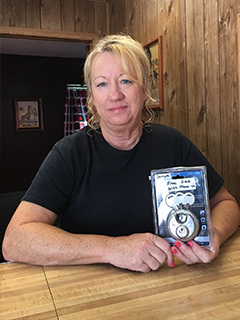 Every new self-storage tenant gets a brand new disc lock, FREE! We want you to have the best at Harrisonville Mini Storage! Harrisonville Mini Storage updated their cover photo. Harrisonville Mini Storage updated their profile picture. We hope everyone had a Happy New Year and wish all of you the best in 2018! Harrisonville Mini Storage is under new ownership and we're currently setting up a new website and social media accounts!